It’s actually quite a blessing to have oily skin because it ages much more slowy than dry or normal skin and you’ll be looking younger than your contemporaries for years to come. But it can be quite a drag too. Oily skin makes you look greasy and is more prone to dullness and dreaded acne than other types of skin. Don’t let your oily skin get you down. 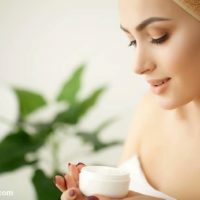 There are simple, cheap and effective ways to remove excess oil from your skin, make you glow and reduce your risk for acne. Mind you, the key word here is ‘excess’. You don’t want to strip your natural oils away completely as your body will then go about producing even more oil to compensate. Unfortunately, that is exactly what commercial face masks for oily skin do. They strip away your oils and make you even more prone to breakouts, as anyone with oily, sensitive skin can testify to. Look to nature for the solution. 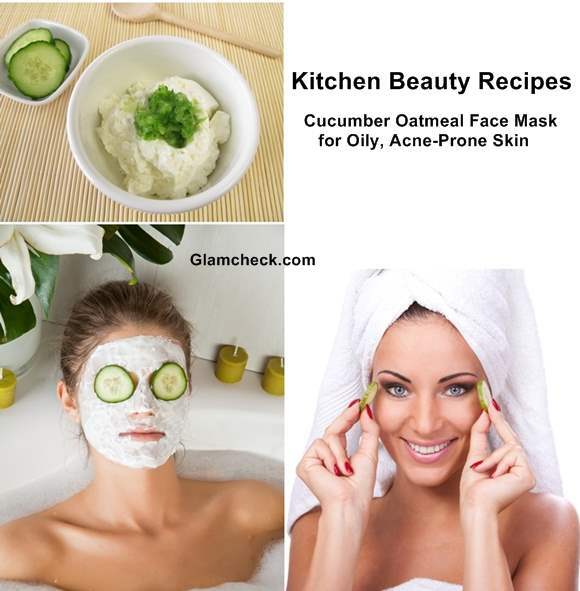 Here, we show you how to make a cucumber oatmeal face mask which will help dry up your acne and defeat your oily skin problems. 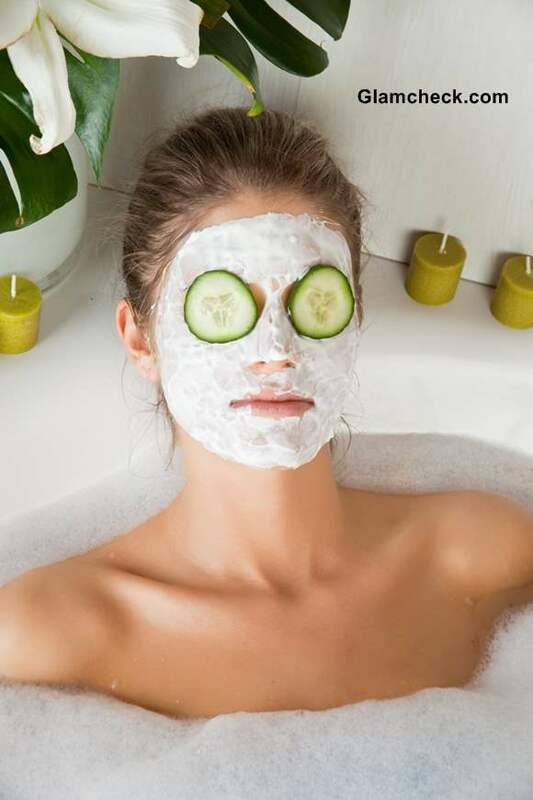 Cucumbers are used only as eye pads in many spa treatments but they are the most essential face mask ingredient for anyone with oily skin because they are a safe and natural astringent. This means that they cleanse your skin, tighen your pores and also gently wipe away excess oil in the process without stripping it all off. Oatmeal is another brilliant ingredient for oily skin because it is a natural and very gentle exfoliant. This is really helpful because oily skin tends to flake very often and you need to exfoliate to remove the dead skin cells from the surface and reveal the newer skin underneath. 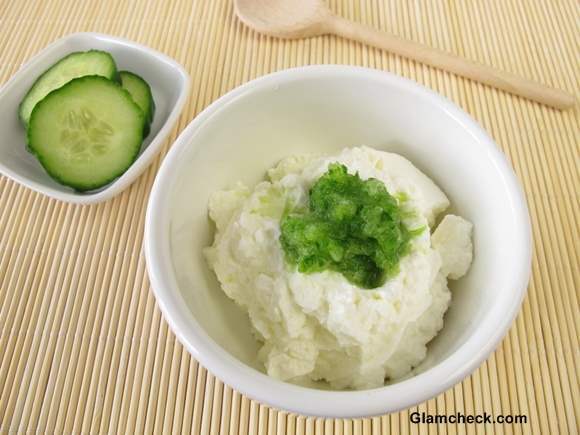 Cut the cucumber into 1-inch pieces. Throw it into a blender for a few seconds with the rest of the ingredients till they are all well mixed. Apply the mask on cleansed skin, focussing on pimple-prone areas. Make sure to be really gentle though. Scrub in circular motions so the oatmeal can work its magic. Remember to be really gentle. This cannot be stressed enough. Now just relax for about 15 minutes. If you have any cucumber left, cut a couple of slices and pop them on to your eyes. Wash off the face mask with cold water. Look in the mirror and marvel at how radiant and supple your skin looks. Ensure that you don’t resort to using this mask more than once a week or once in ten days if your skin is sensitive as too much exfoliating can also damage your skin and make your acne worse. Caution: Because lemon has bleaching properties, you may develop spotting or patchy skin if you expose the skin to the sun right after using the face mask. So for best results, use this DIY mask at night.